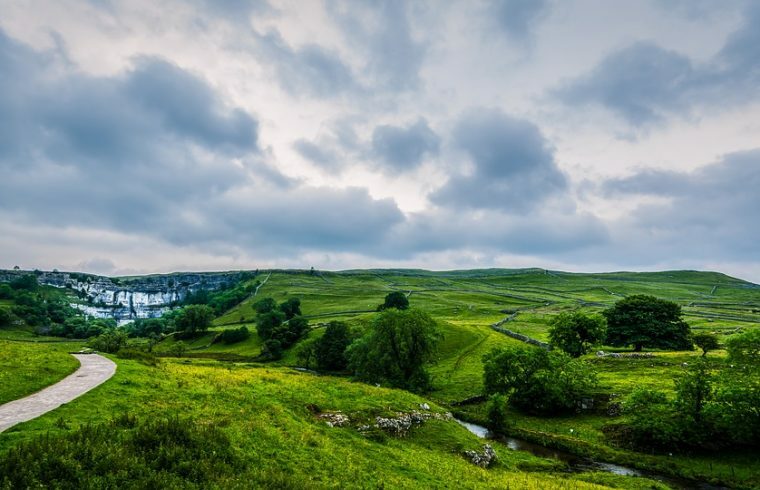 From historic sites and wonders of the world to architectural phenomenons and the great outdoors, the UK is full of some truly wonderful sites. Whether you’re planning a family staycation or just looking for a weekend activity with your other half, we bring you six of the best attractions to visit in the UK, and why you need to head there now. One of the wonders of the world, it’s no surprise that Stonehenge makes it on our list. It’s a fantastic day out for both kids and parents alike, and allows you to step back in time to ancient Neolithic times. If you’re looking for an exciting day out that’s educational at the same time, Stonehenge is the perfect choice. Well, isn’t it just a wonderful sight to behold? Stonehenge is thought to have been standing for more than 5000 years, and it is one of the most beloved mysteries in the entire country. To this day, historians are still baffled as to how rocks of this kind were transported to the south of England. They’ve also been left scratching their heads trying to figure out what it actually is. A great day out for all the family, The Blackpool Tower is made up of seven unique attractions which can be all rolled into one. Perfect for if you’re making a weekend of visiting this iconic landmark. And who doesn’t love a day by the seaside? There truly is something for everyone at The Blackpool Tower. Whether you’re a bit of an adrenaline junkie who wants to be terrified at The Dungeons, prefer the amusing antics of The Circus or want to experience the glorious city from the very top of The Tower. Arguably one of the most well-known locations in the Lake District, Windermere has certainly earned its fame over the years. If you live in any of the big cities of the North West like Manchester, Southport, Preston or Liverpool, then the Lake District is only a couple of hours drive away – the perfect destination for an impromptu Saturday road trip. Windermere is the largest natural lake in England, but it is also incredibly beautiful. No matter where you stand to admire the views, they are truly breathtaking no matter what the weather is doing. If you’re more of an active type, there are plenty of water-based activities to get involved in from gentle boating to kayaking and paddleboarding. It’s an incredible day out and there’s something for the entire family, what more could you want? There are smaller rides for the kids – think the log flume and classic caterpillar – and some record-breaking world firsts that have made it into the history books. You really could spend a full day here; load everyone into the car, pack a picnic and get ready for the wildest day of your life. If you’re an adrenaline thrill-seeker then this one should be at the top of your list, as this theme park is home to some of the most famous roller coasters in the country. Whether it’s the stomach-dropping plunge of ‘Oblivion’ or the never-before-seen design of ‘Air’, coaster heads from up and down the nation queue for hours to ride these tracks. Did you know that Chester Zoo is home to more than 15,000 animals and 500 different species? Children (and adults!) of all ages will have the time of their life here – because who doesn’t love animals? Whether you prefer the calming atmosphere of the aquarium, want to stare in wonder at the elephants or giggle at apes, there truly is something for everyone here. By visiting Chester Zoo you get to go up close and personal with some of the rarest animals in the world. Ever fancied being face-to-face with a jaguar? Or watching the hilarious antics of a group of penguins? Then you absolutely can. The zoo regularly hosts feedings of their animals and, you know you’re doing a good deed as your entry fee funds a great deal of their conservation efforts. Edinburgh is a wonderful city in itself, but if you’ve ever fancied a 360 degree look at the place, then it’s well worth the hike up to the top of Arthur’s Seat. It’s actually an ancient – and inactive – volcano that sits approximately 251 metres above sea level. That’s certainly deserving of a selfie or two. We’d recommend heading up the mountain for the views alone, but there are plenty of reasons why it’s one to tick off the Edinburgh bucket list. Holyrood Park, where Arthur’s Seat is located, is only a short walk from the famous Royal Mile or Edinburgh. It’s also got a large castle fort, a 15th century chapel and Salisbury Crags – plenty to see and do here.